Posted on January 16, 2019 at 2:14 pm. The folks at the 21-cow Mi-Hud Angus Ranch in Kuna, Idaho, are taking their small operation to a much larger stage. 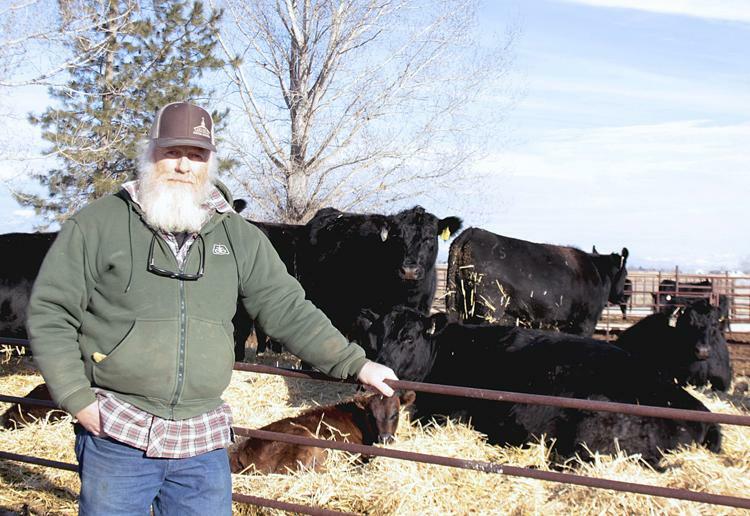 Owner Mike Relk and 10 of his fellow small-scale cattle producers in the greater Boise area are getting their genetically strong breeding stock in front of more prospective buyers via the internet. The group put together the online High Desert Select Bull and Female Sale with help from JBS Auctions. The High Desert effort exemplifies the genetic gap narrowing between large and small breeders as technology and data advance. Big operators have more total chances to produce a breeding bull good enough to grace the pages of sire directories. But smaller players say they can also offer excellent genetics, in part by accessing these same superstar bulls through artificial insemination. “We continue to improve our herd, through specific genetic matings, to have efficient cattle to bring to our customers,” Relk said. Mi-Hud’s registered Black Angus cattle are bred from high-quality “AI” sires for calving ease, feed-to-growth efficiency and beef carcass traits. The herd originates from cows he acquired five years ago from a large Idaho breeder known for strong genetics. “I was comfortable with the quality of the cattle right off the bat, but for the small producer, there is no platform to market these good genetics,” said Relk, who historically made most sales through word-of-mouth or advertising. Eligible animals pass parentage-verification and breeding-soundness tests. Buyers can purchase insurance on bulls for the breeding season, and share that cost with sellers. Zach Raptosh, a cattle producer and veterinarian in south Nampa, Idaho, said he expects the group to field about three dozen bulls in the auction. All will be DNA-tested to give buyers confidence about parentage. Dennis Boehlke, who runs about 65 mother cows south of Nampa, has been artificially inseminating all of his cows since 1979. He maintained strong genetics by consistently seeking the best sires. Many Angus breeders run seven to eight head, he said. For the small operator, online sales can be more convenient and less expensive than live auctions, he said. Relk, who has six bulls in the sale, said organizers of the High Desert online auction aim to hold the event annually.